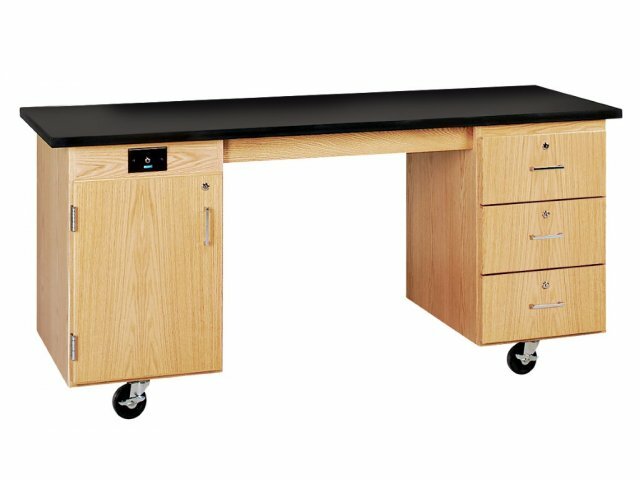 This wheelchair-accessible lab workstation features a flat top that provides a large work surface perfect for experiments, group projects, class demonstrations and more. 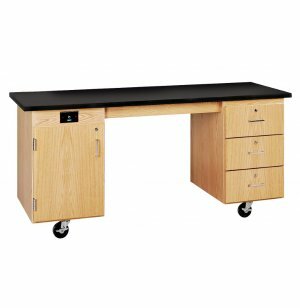 These ADA Mobile Lab Workstations from Diversified get all your students involved in learning. 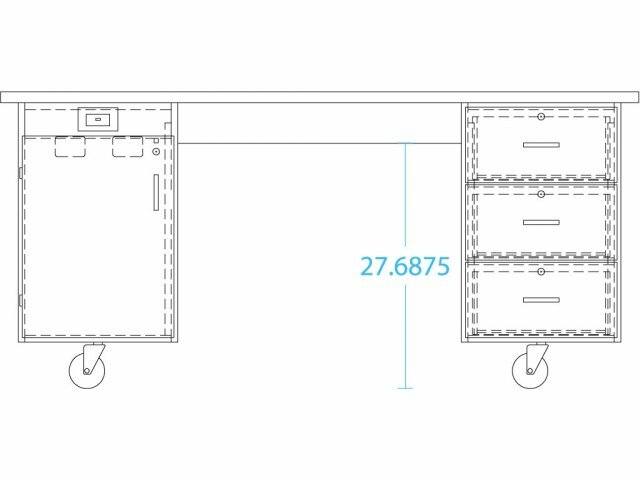 Designed as a lab workstation for those schools privileged to serve students with special needs, they can also be used for standard classroom demos, with dual-side accessibility. The ADA-compatible workstations feature 1.25" ChemGuard tops that are resistant to most lab chemicals. The solid oak construction is highly durable, and the hardwood and oak veneers have a chemical-resistant, earth-friendly UV finish. 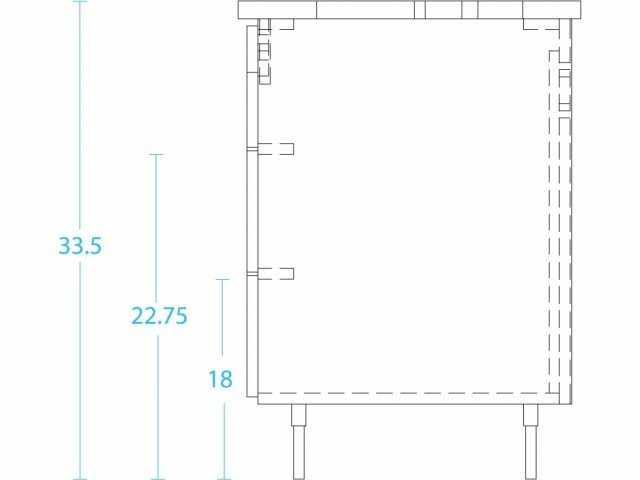 All models include a GFI protected AC duplex electrical receptacle, a 25' extension cord, and locks on all drawers and doors. Laminate, which is made by bonding a printed sheet of paper to partical board by means of heat and resin, is resistant to most chemicals and stains, with limited resistance to high temperatures and severe chemicals. Spacious: The large work surface on this lab workstation provides a comfortable environment for experiments, group projects, demos and more. Inclusive: These wheelchair-accessible workstations allow all students to be equally involved in learning. 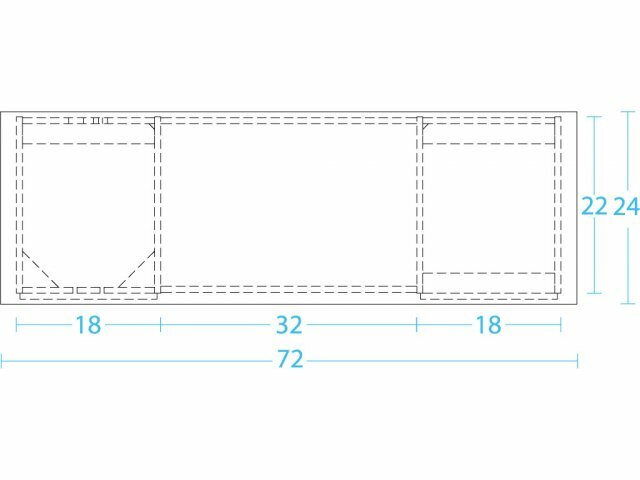 Durable: Select oak construction makes this mobile storage unit strong and durable. Chemical Resistant: ChemGuard top and UV cabinet finish are chemical resistant, for use in science labs. Built-In Power: One GFI protected AC duplex electrical receptacle and 25' extension cord included. Secure: Cabinet door and all three doors lock for safe and secure storage. Strong: Mobile capacity of 500 lbs. provides worry-free storage of heavy pieces. Portable Work Surface: ChemGuard top serves as a portable work surface or demonstration center. Smooth Mobility: Four heavy-duty, 4" locking swivel casters ensure smooth rolling action. 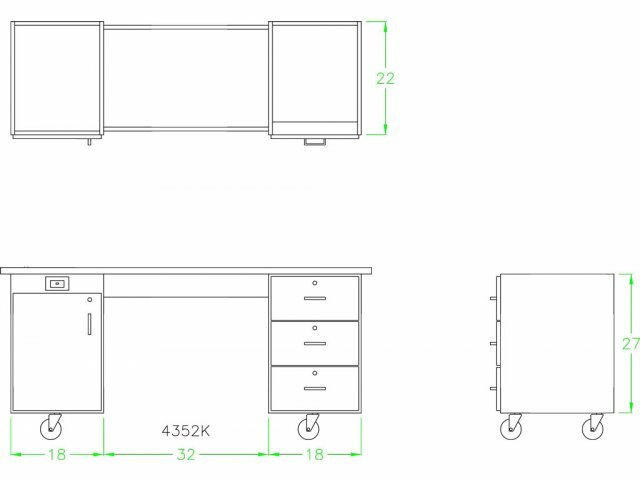 Environmentally Friendly: UV cabinet finish is earth-friendly. This product is ADA compliant and wheelchair accessible.